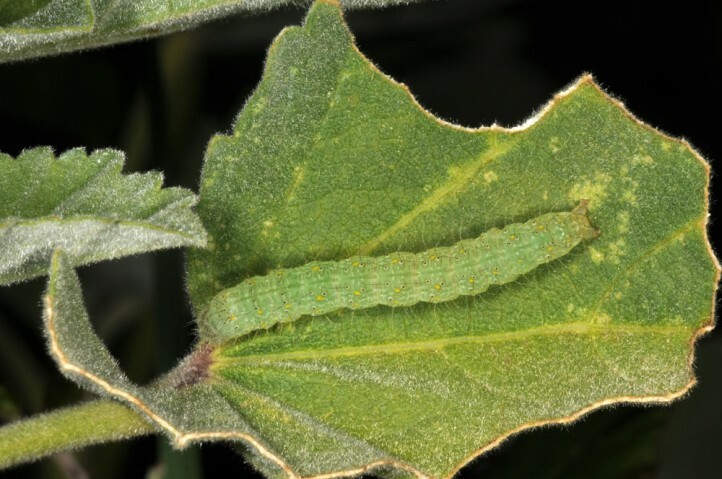 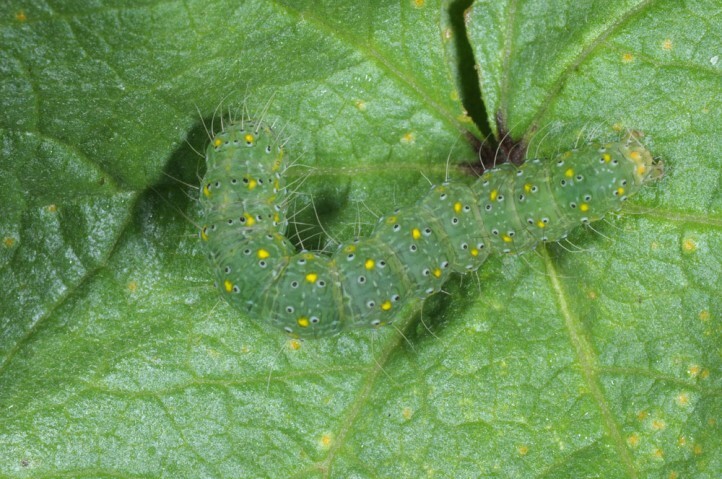 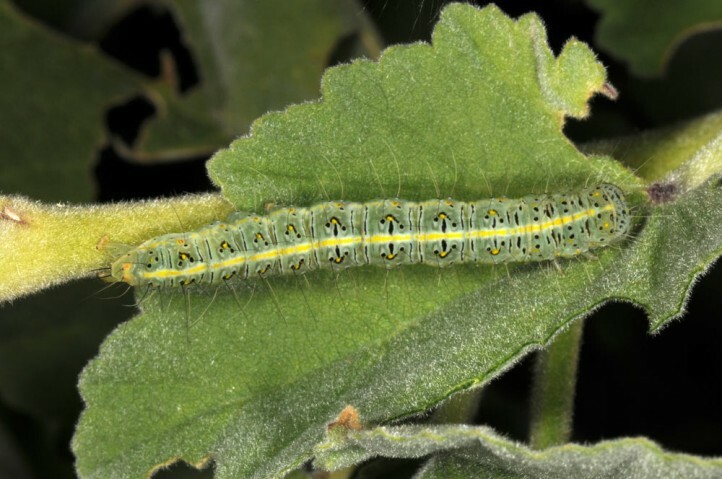 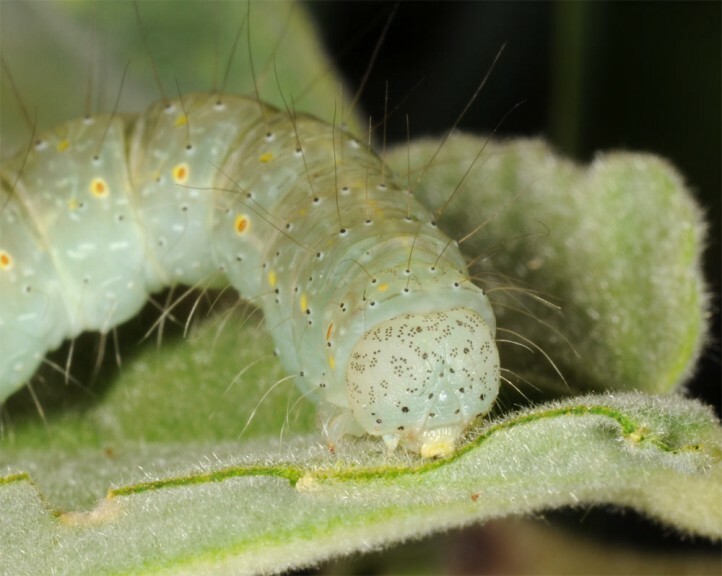 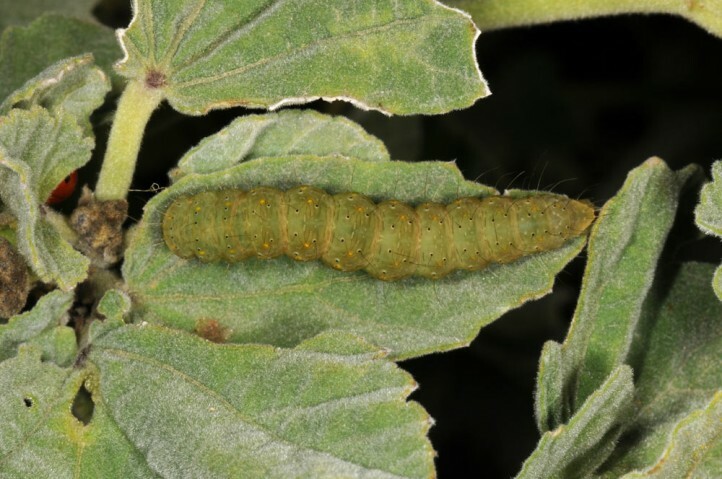 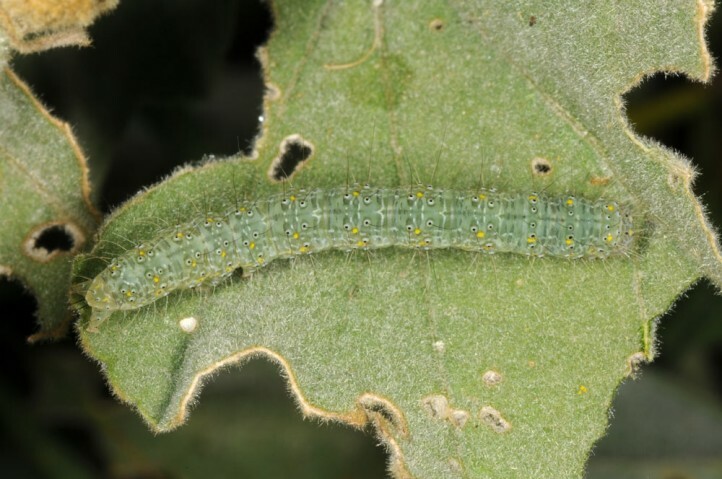 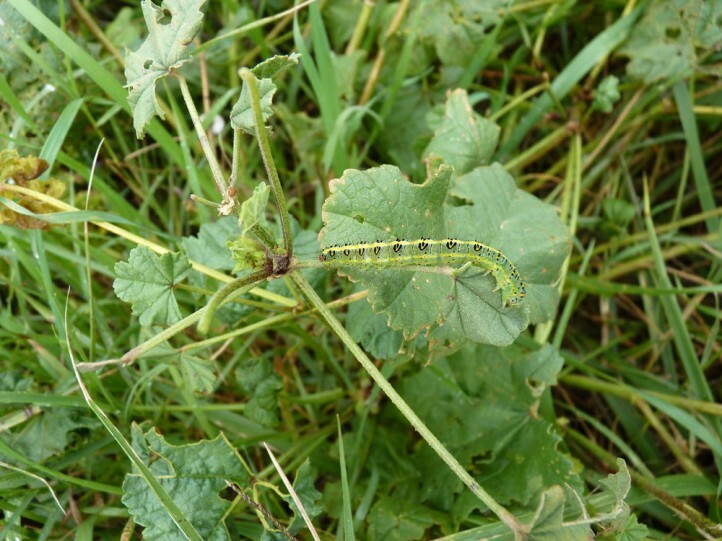 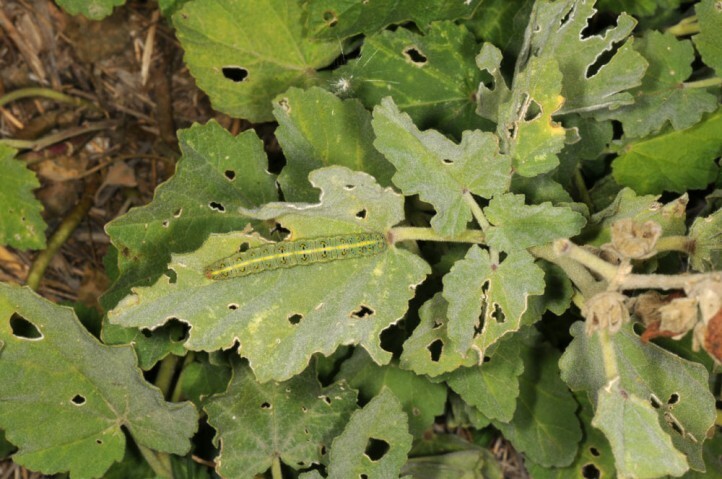 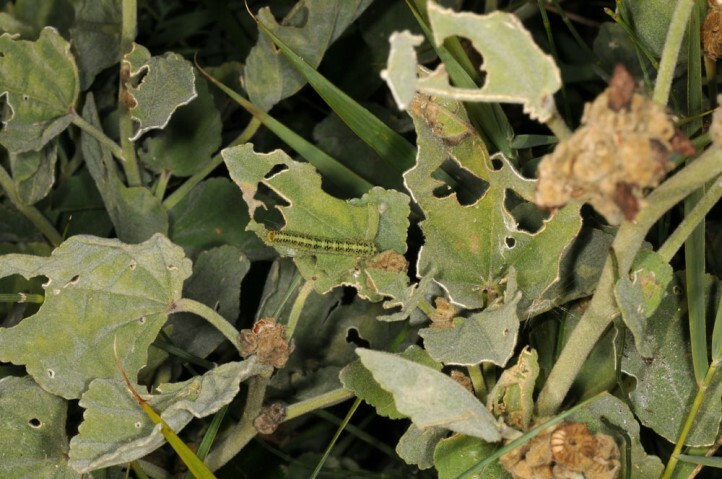 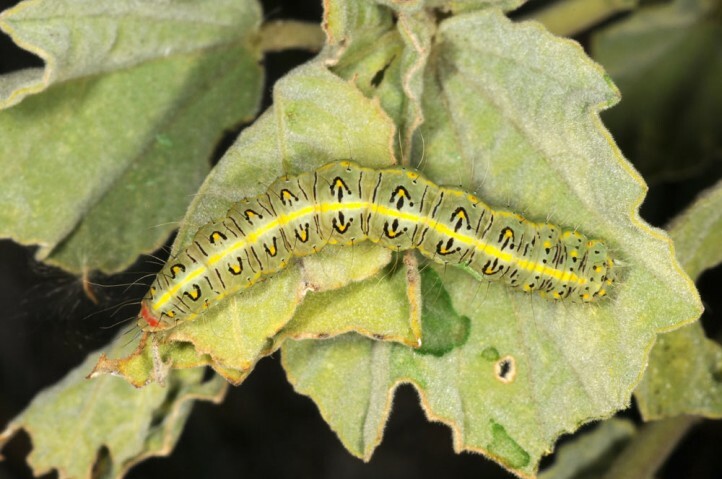 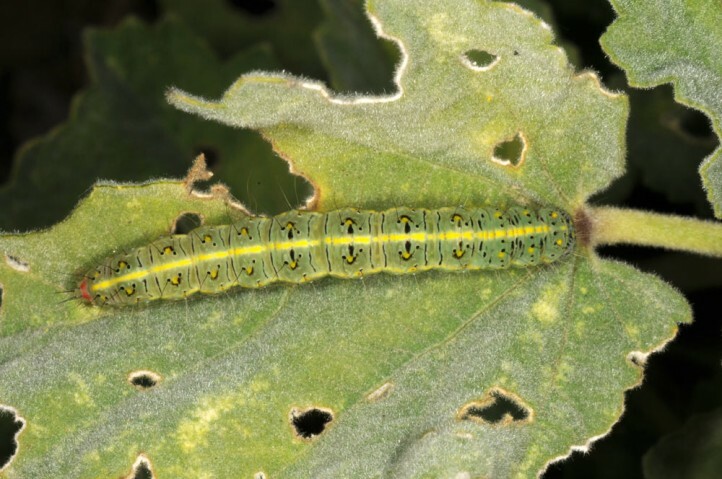 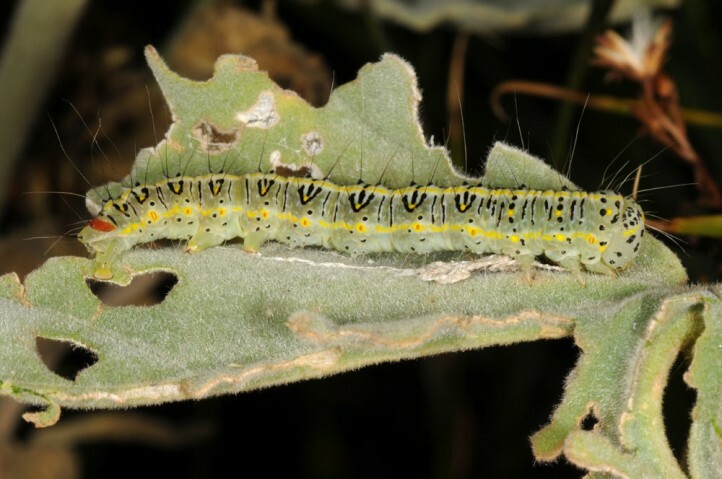 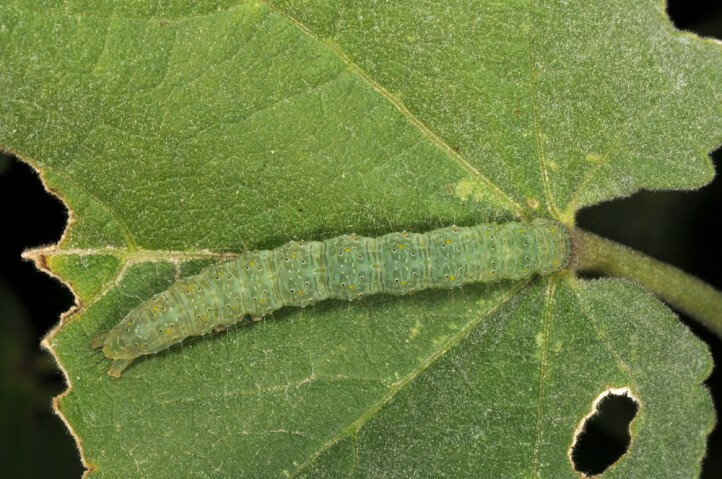 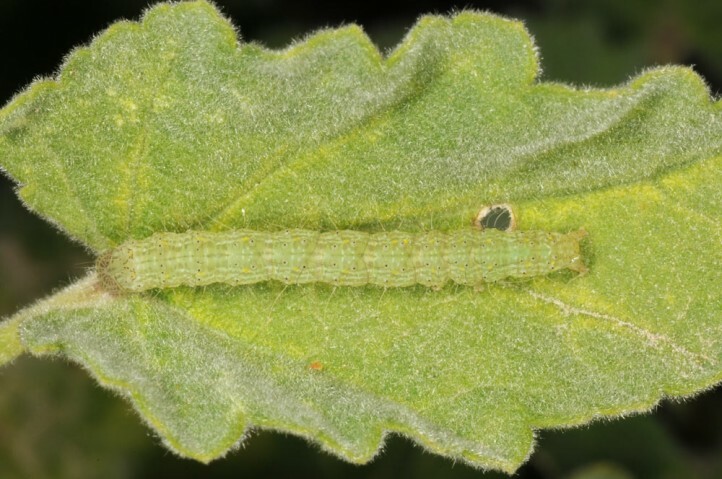 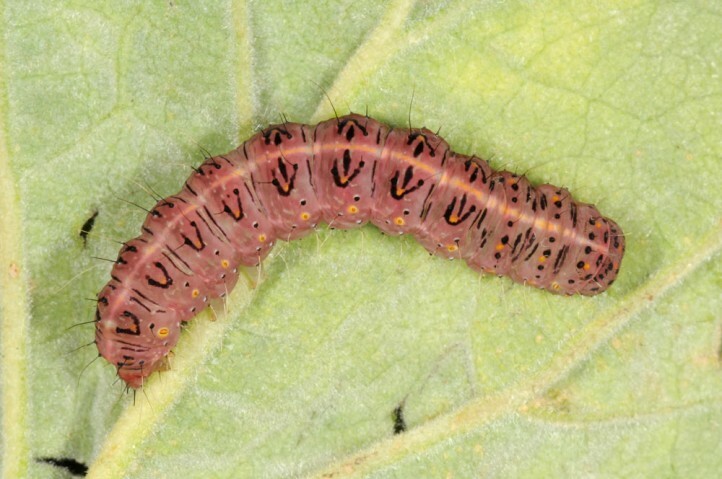 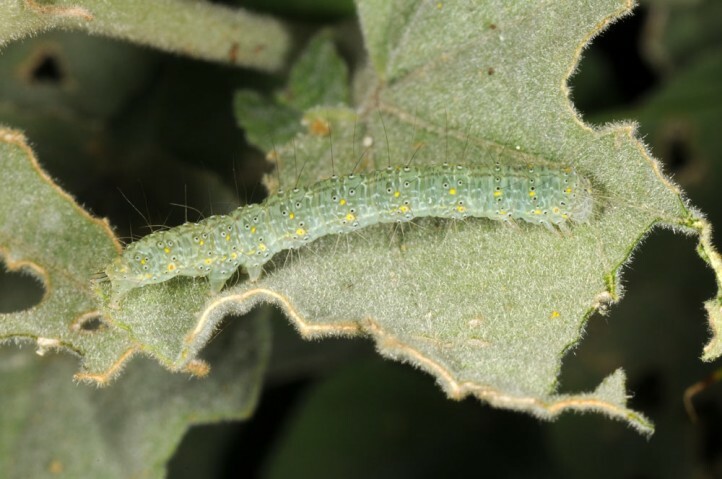 The larvae feed on species of the mallow family, especially Lavatera sp. 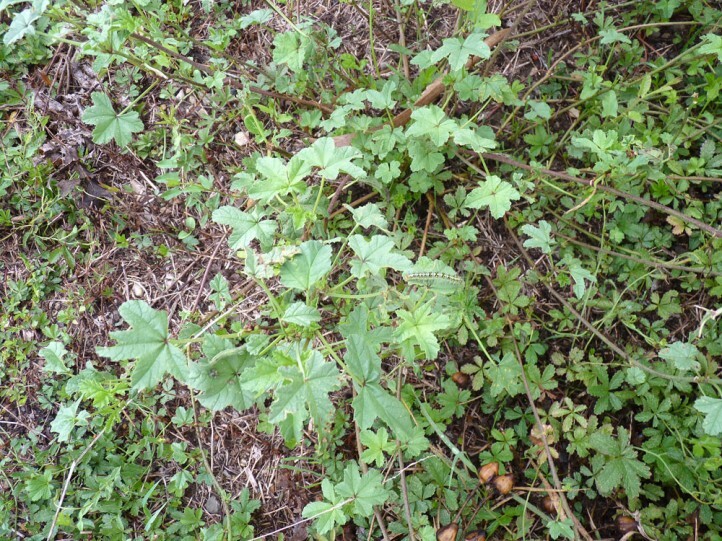 and Althaea officinalis, but also Malva sp. 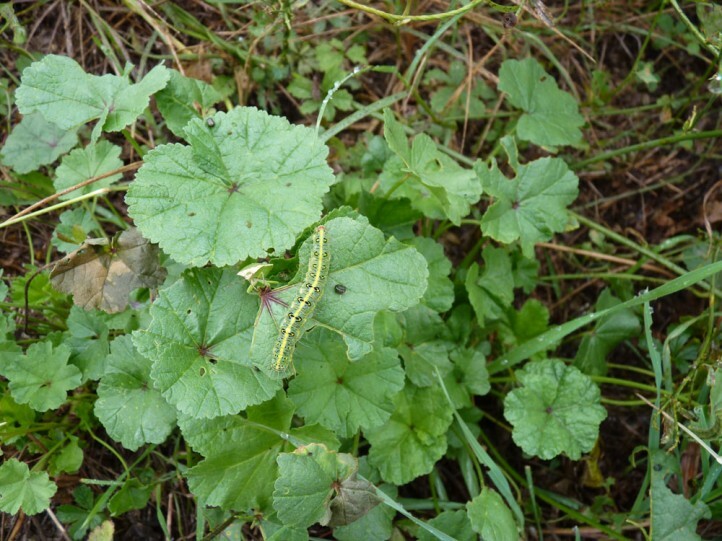 I observed my larvae on Althaea and Malva (Camargue 2013 and 2014). 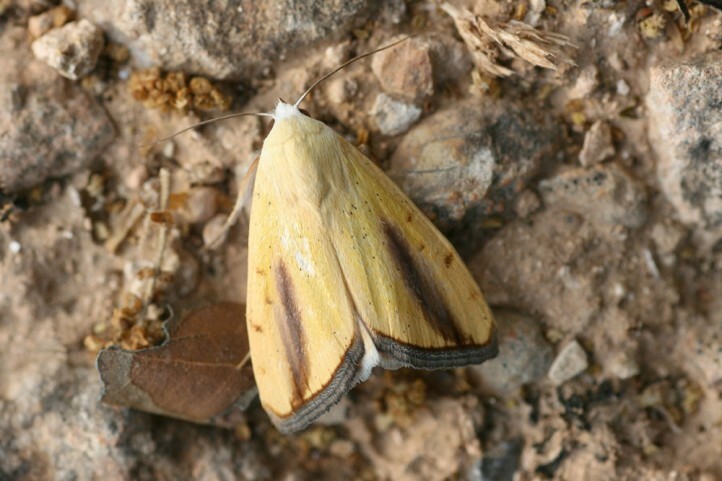 Pardoxia graellsi inhabits warm, humid to periodically dry habitats near the coast. 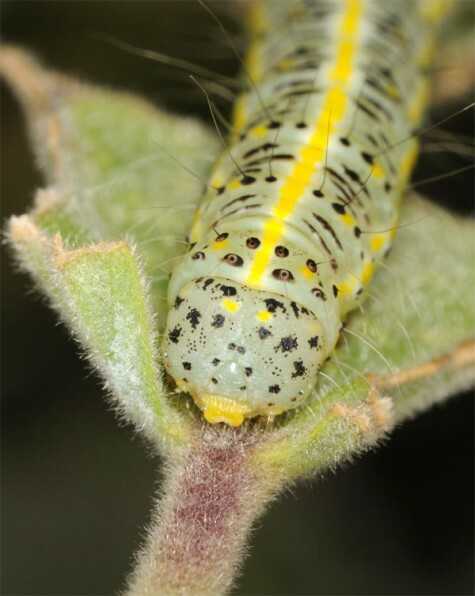 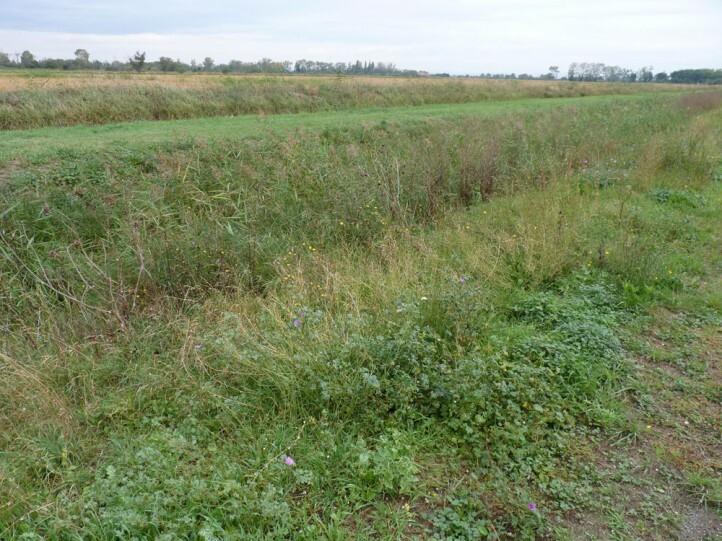 I observed larvae in the French Camargue especially on extensively grazed pastures and margins of gappy meadows, scrub and ditches. 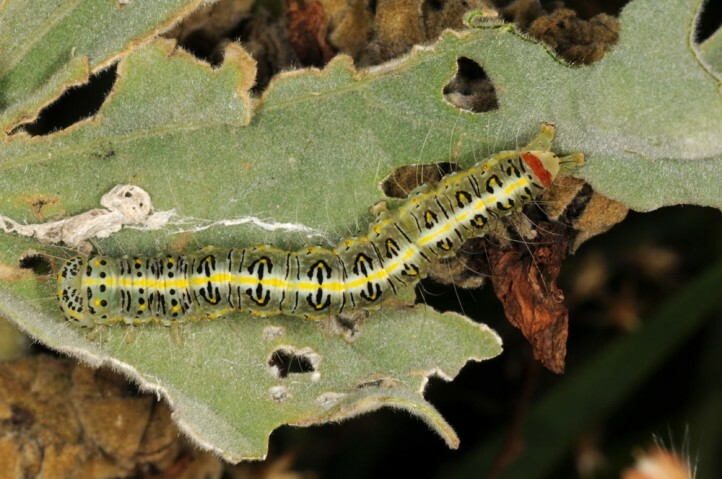 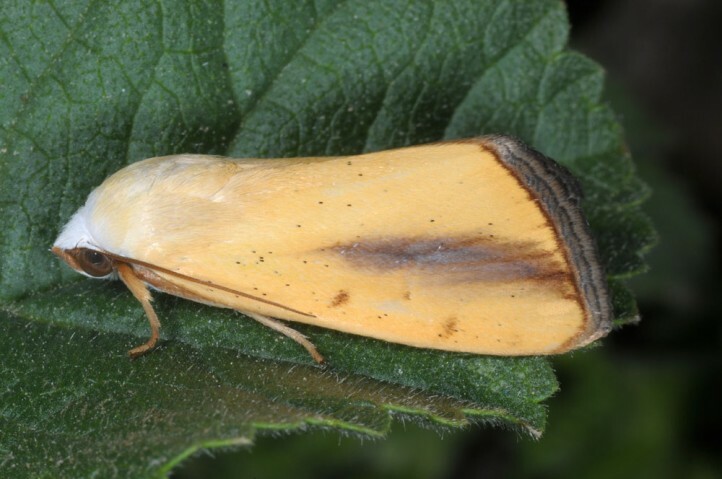 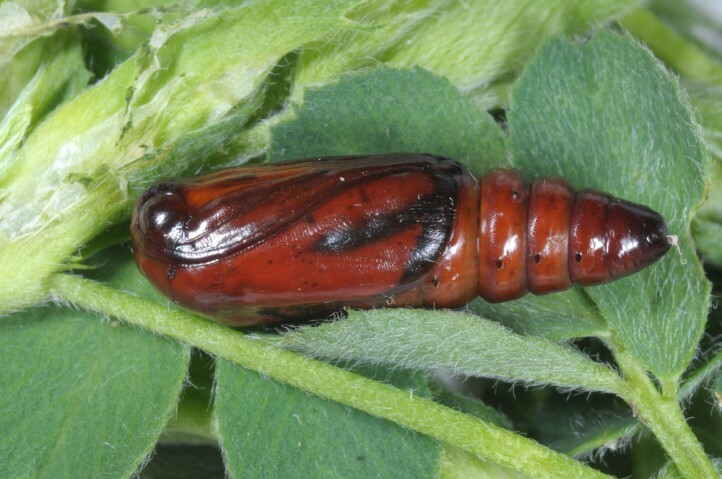 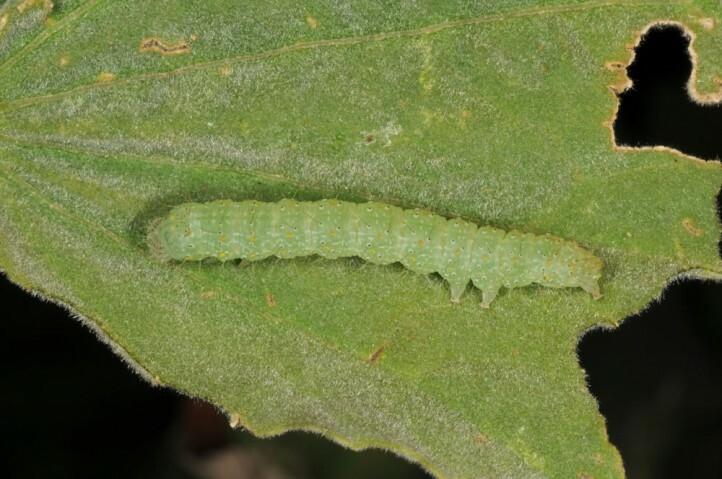 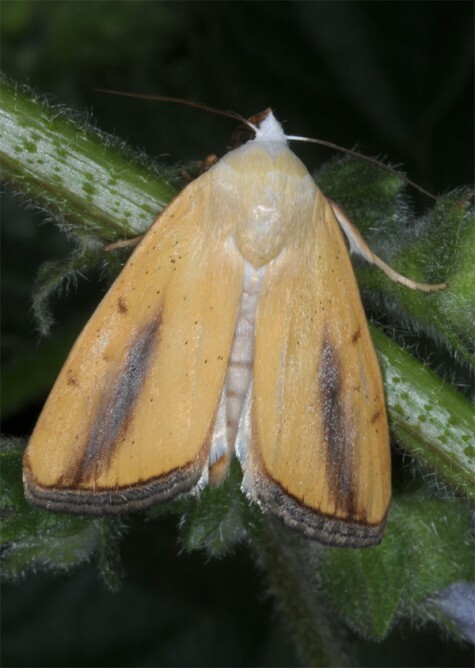 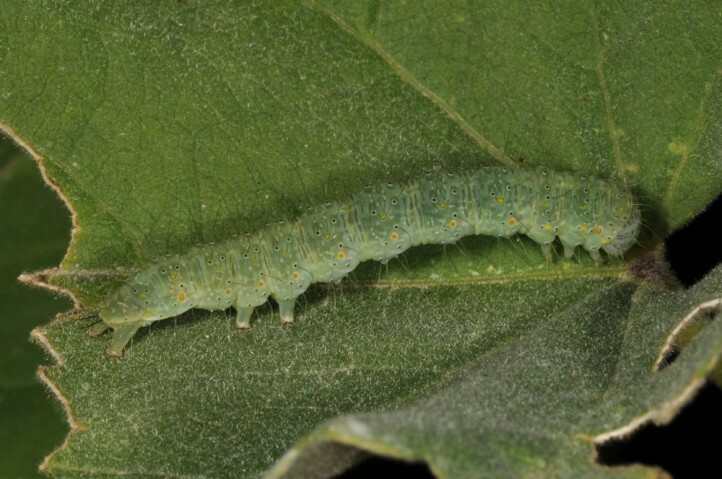 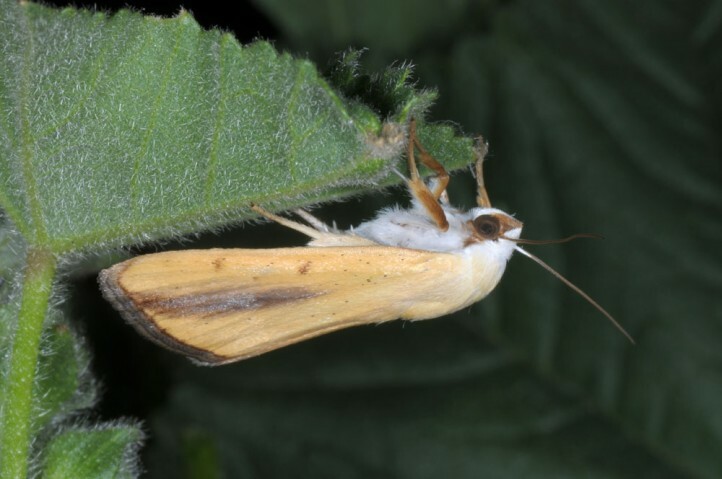 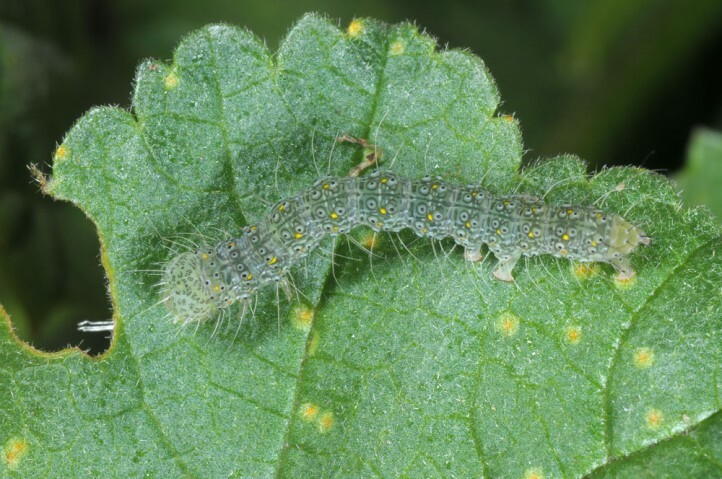 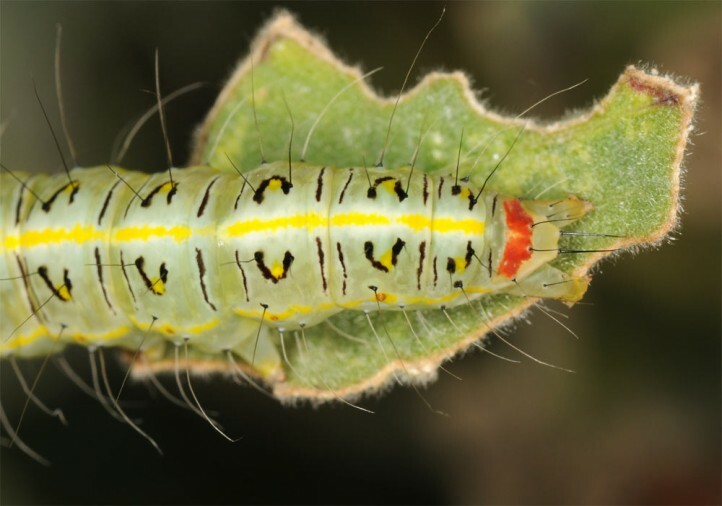 The larvae are especially found in autumn between August and October. 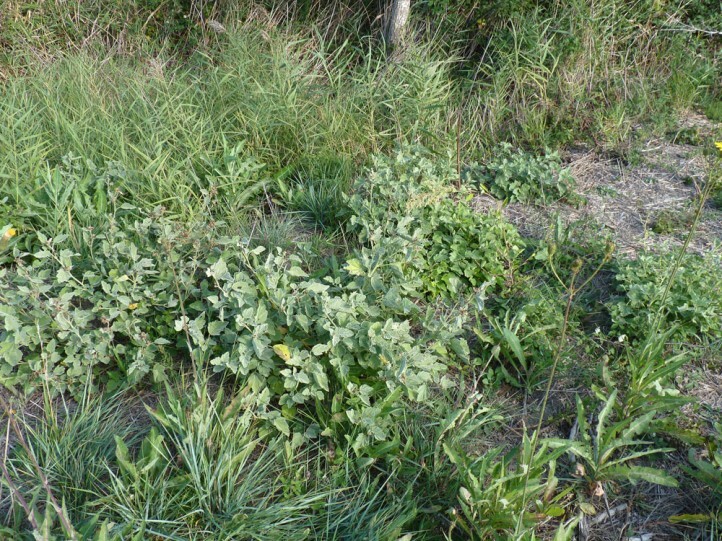 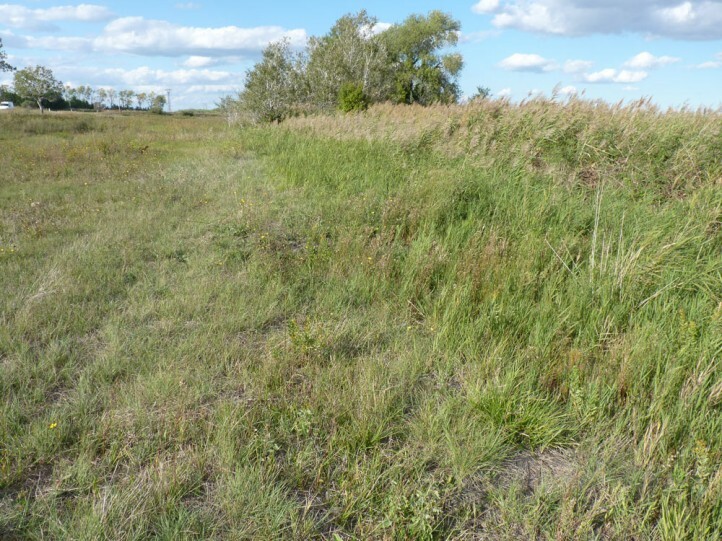 I recorded them mostly mature, but some still half-grown, mostly on the upper leaf surface in mid-October 2013. 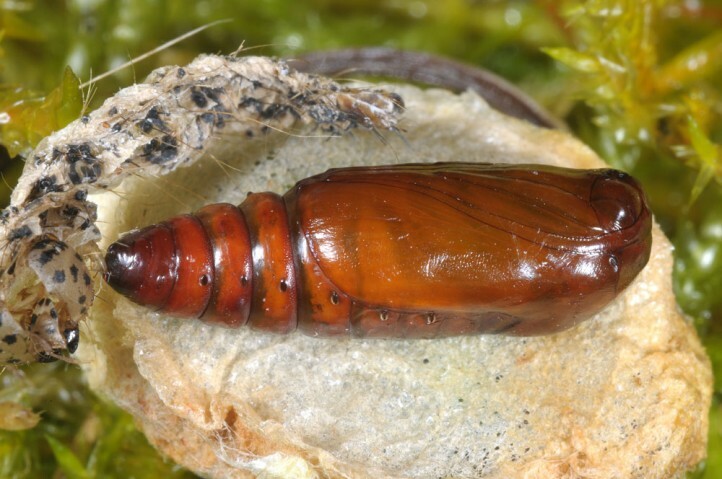 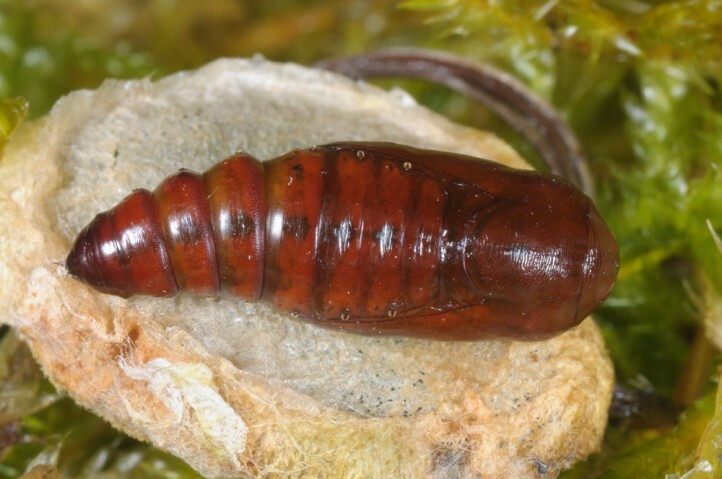 The larvae construct a cocoon on the ground, where they hibernate. 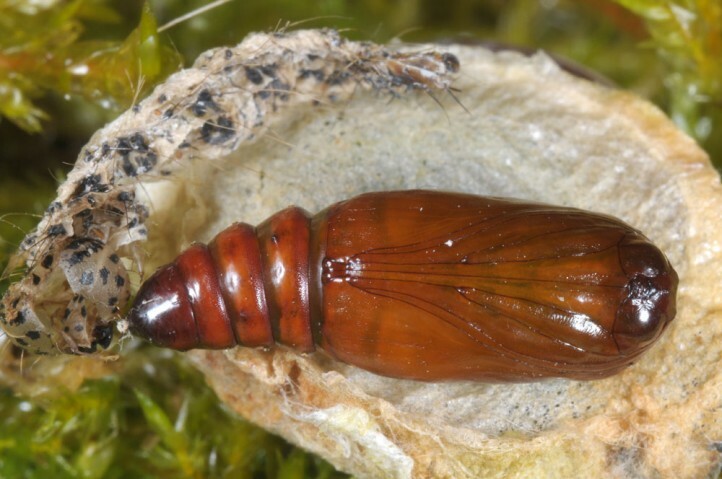 Pupation takes place there after the winter. 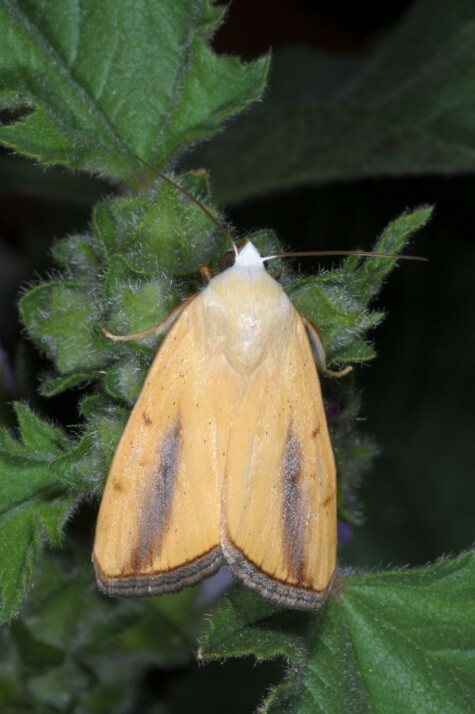 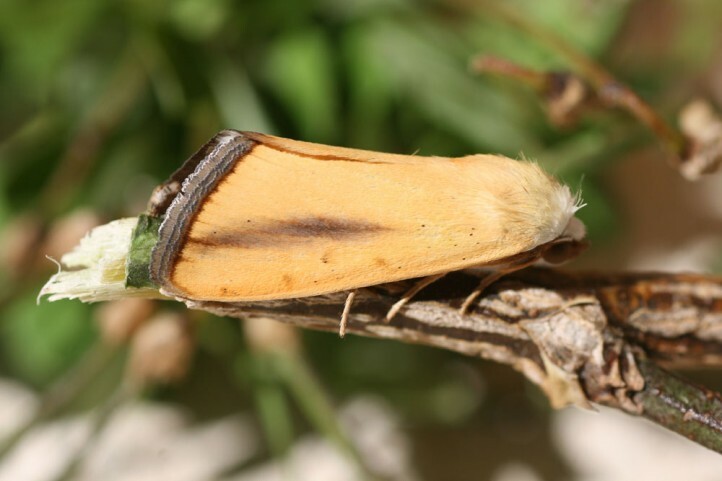 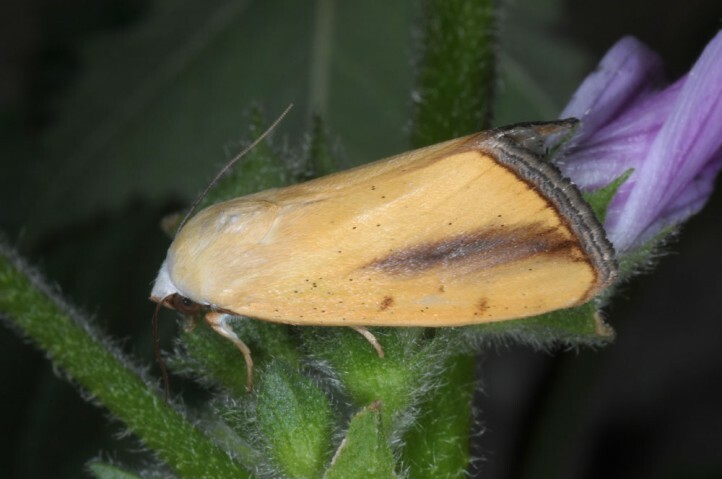 According to literature the moths are on the wing in two generations between June and September. 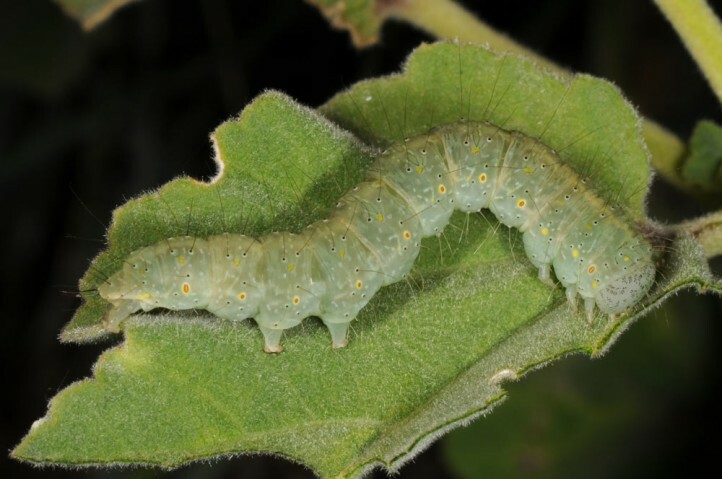 Thus larvae should be found also e.g. 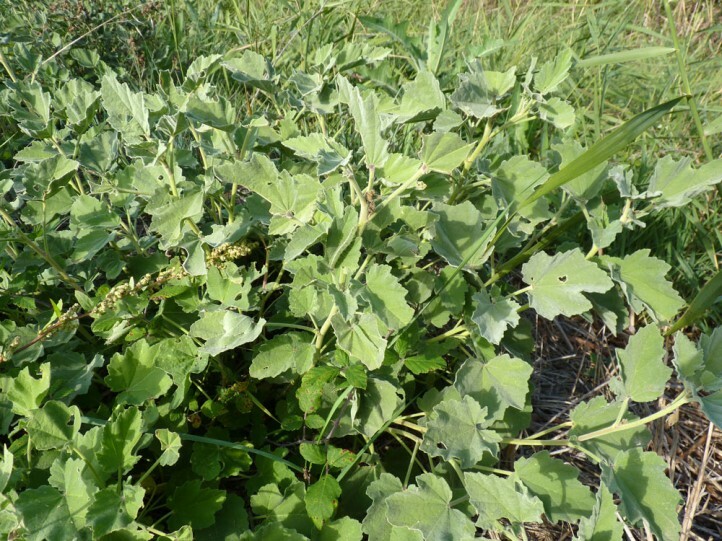 in July. 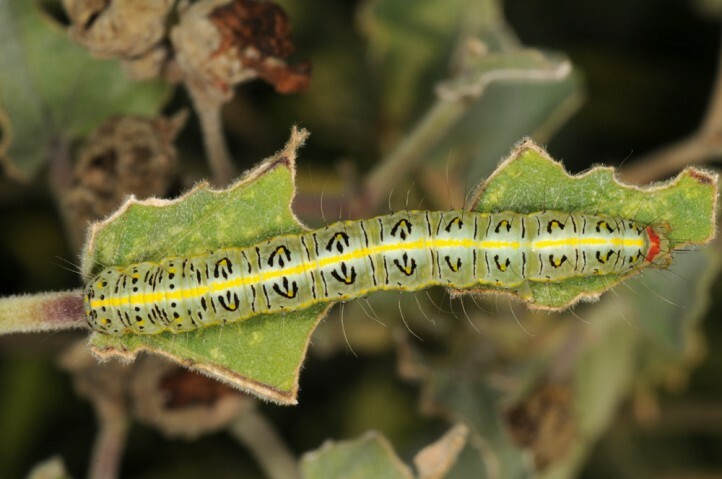 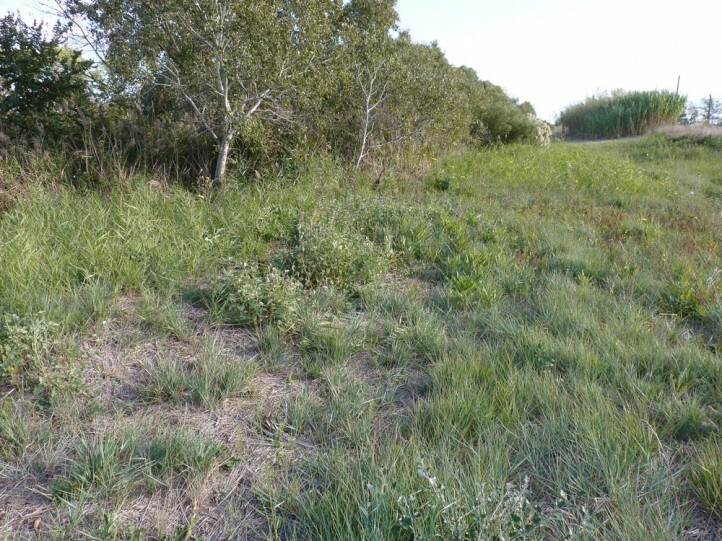 Pardoxia graellsi is endangered in Europe due to dewatering and cultivation (agriculture), but also overbuilding (cities, industry, tourism, streets) of the Mediterranean coasts and its wetlands. 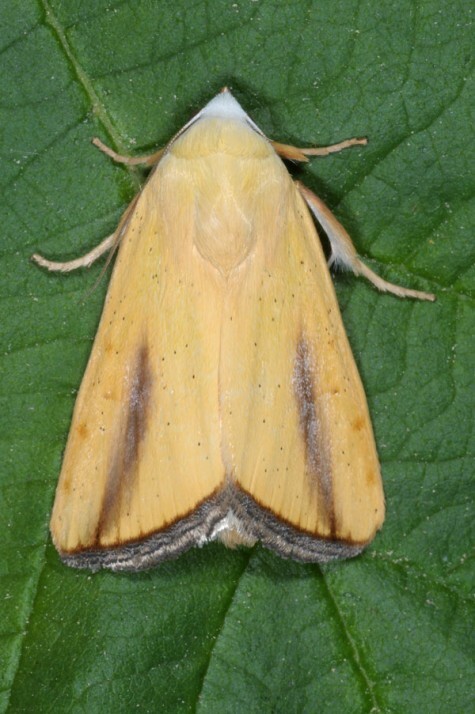 Pardoxia graellsi occurs in Africa and the more southern Asia (from Turkey to China and India). 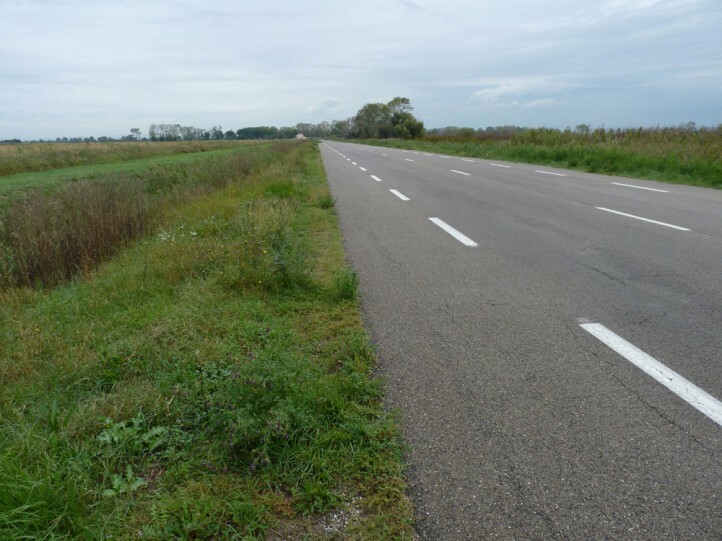 In Europe it is mainly confined to the Spanish and French Mediterranean coast, to the east to Camargue.